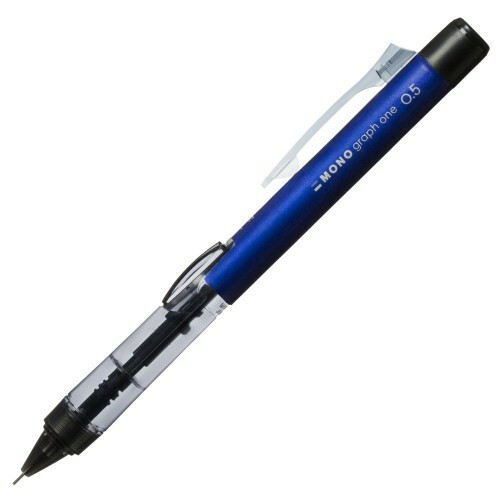 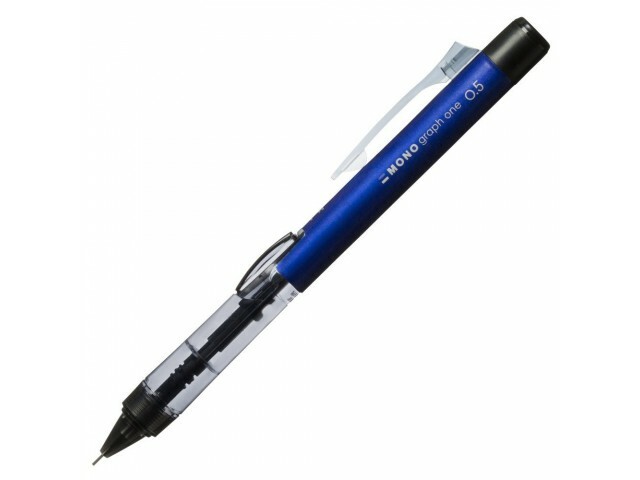 Tombow Mono Graph One is a side-knock mechanical pencil that is equipped with a full-length 50mm Mono One eraser. 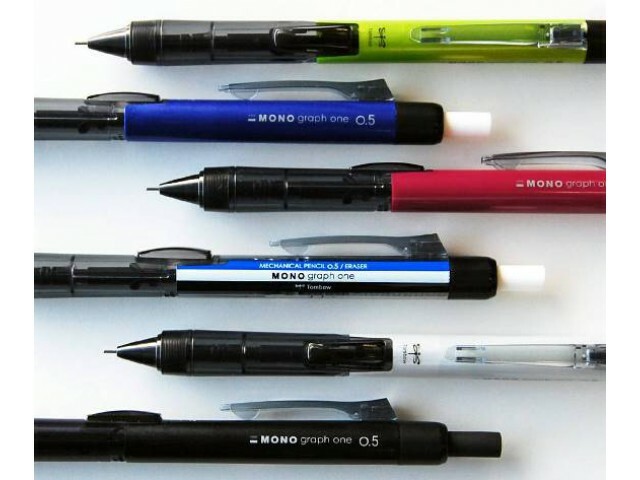 There are three types of Mono One eraser to choose from: Mono One, Mono One Air Touch, and Mono One Dust Catch. 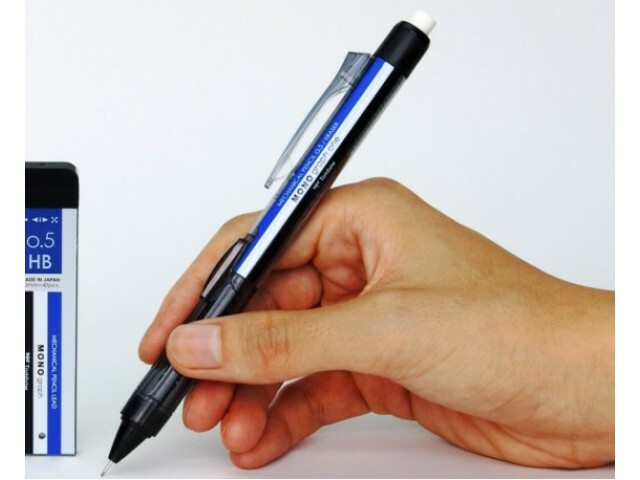 The exposed length of the eraser can be adjusted by rotating the top of the pencil. 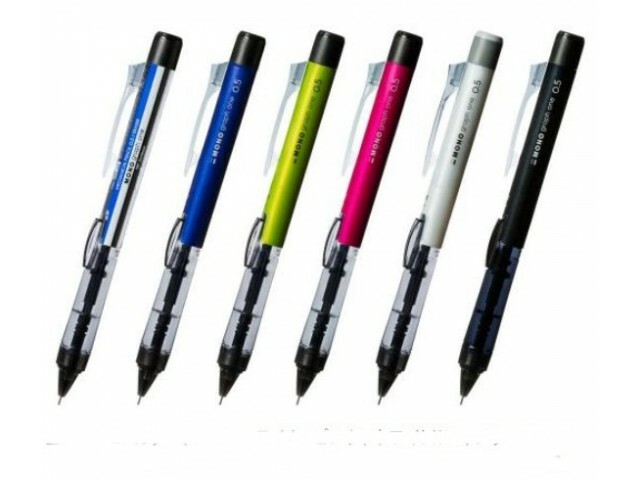 Available in six body colors.